Scentsational Car Fresheners. See and smell the difference. 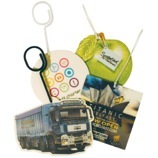 Price includes full colour digital print both sides same or different and die cut to special shape. Manufactured in UK using 1500 micron thickness pulp board from sustainable forests and fragrances containing natural oils. 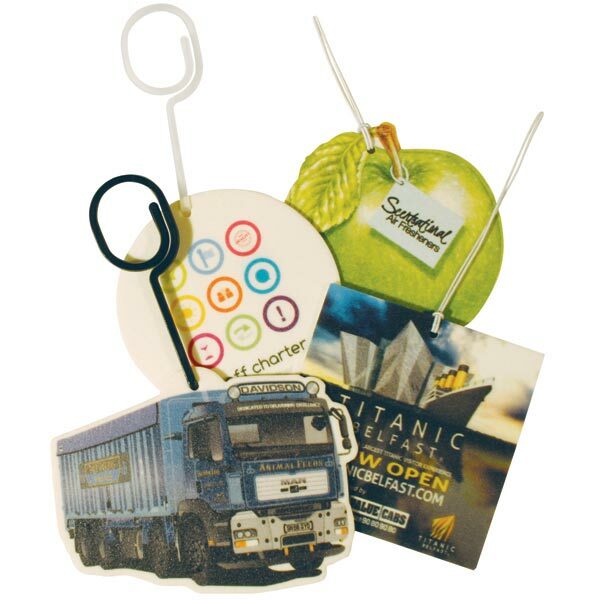 Supplied with elastic cord or plastic hanger packaged in clear barrier coated film. Choice of fragrance.